If you guys are wondering where I’ve been… the answer is Jasper! My family and I have been there many times before, and we love everything it has to offer – the wildlife, scenery, tours and excursions. Believe me, it was a much-needed mini vacation after going through the busy month of June. I will be posting some of the many pictures I took throughout this week, so keep your eyes peeled! Okay… movin’ on! The weather has been extremely hot recently, which means I have been surviving off of salads, sashimi, watermelon, popsicles, ice cream, and ice cream sandwiches. I picked up some oatmeal chocolate chip ice cream sandwiches last week, and I kinda just forgot about them. That is, until today. I’m not a big fan of oatmeal cookies, even if they contain a crazy amount of chocolate chips; however, I am a firm believer that everything tastes better in ice cream form. Nine times out of ten, I’m right; unfortunately, this time I was wrong. First off, I just want to say that these ice cream sandwiches taste nothing like an oatmeal chocolate chip cookie. The wafers taste like concentrated graham crackers and completely overpower the vanilla ice cream. There was nothing spectacular about the vanilla ice cream, and the bits of chocolate in it were lame. They need to add around three times more of chocolate in order for it to even be noticeable. Overall, I’d rate this 2 stars out of 5. 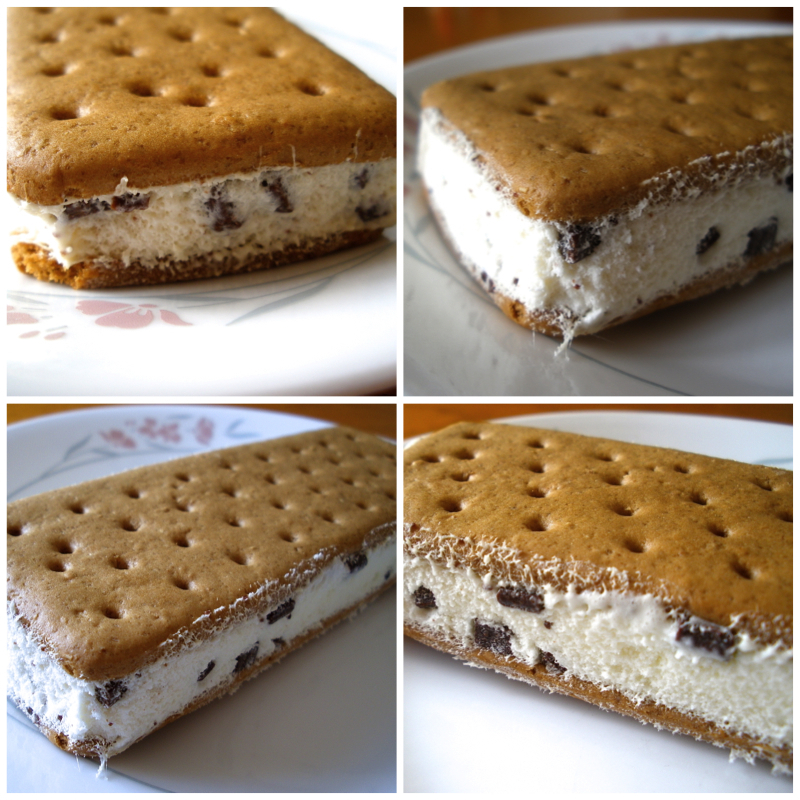 Have you tried Lucerne’s new Oatmeal Chocolate Chip ice cream sandwich? P.S. Happy Canada Day to all of my Canadian followers!